Just wish to introduce myself. I am 37 years old and father of 2 boys. Divorced. Originally from East London and moved to PE 3 years ago. I am a long time member of the 4x4 Community and saw a link posted there about this forum. Got many hobbies. From surfing to fishing. Deep sea fishing my favourite at the moment. And some Gym. I bought my first Pajero on Friday. Only previous 4wd I had owned was a Mahindra Scorpio. Did a bit of Off-Roading with that one sometimes in the Transkie. Not terrible vehicles but I was looking to replace my current 4x2 Mahindra since my boys who are now 6 and 4 years old had to sit in front of a single cab. Not ideal.. I did petroleum installations and maintenance for 12 years but recently left that industry. I am now a used car salesman and got the opportunity to buy this vehicle for what was a bargain. R160k. 2009 Pajero Sport 3.2 4 speed auto. Very clean in all but needs some TLC in a few places like rubber strips between wheel arch etc. Also not engaging 4H according to flashing lights on dash. I have read a few posts over weekend that it could be anything from Vacuum pipes to a solenoid to even a fuse will get it checked out. I was crawling under the vehicle this weekend but couldn't notice anything obvious. This vehicle appears pretty clean so I am hoping it's not a major mechanical problem. So far.. freaking loving it!! I wish the box was 5 speed auto but I love it so much I almost don't even care about the apparent 7.8km/L consumption. Well that's according to the trip PC. Will fill it up today or tomorrow to check how accurate that is. Last edited by StangV2_0 on Mon Apr 16, 2018 6:04 am, edited 4 times in total. 3. Town & Country Of Residence: Port Elizabeth South Africa. Formerly East London South Africa. 5. Occupation/Business: Between careers at moment. Just changed from Petroleum Installations to Car sales. 7. Membership Of Other 4X4 Clubs & Forums: 4x4 Community Nissan Patrol community. May be more think LCCSA as well. 11. Vehicle(s) On The Wish List: None. 12. Previous 4x4s: Mahindra Scorpio 2.5 4x4 Single Cab. 15. Other Hobbies: Surfing. Fishing. Radio controlled models. Gym. Spending time with kids especially at beach. 16. GPSr & Map Data Used: Garmin. Google Maps. Welcome. My name is Piers and I live in Uitenhage, so we are practically neighbors. 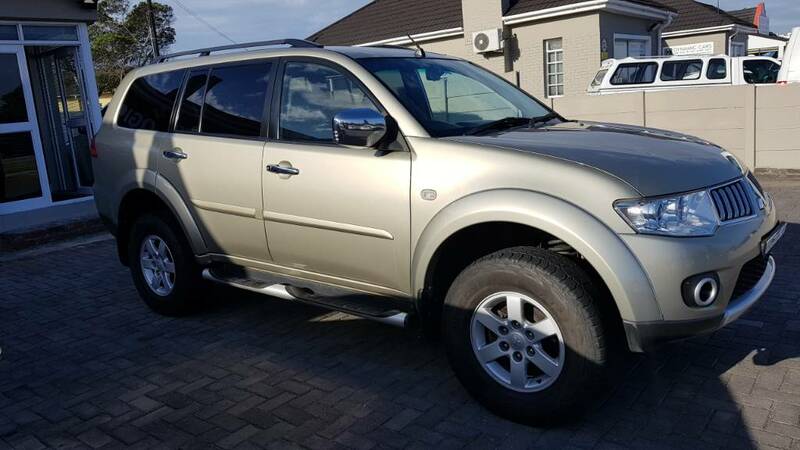 I have 2009 Pajero Sport which I bought just before Christmas so we can compare notes and experiences.